Kahala is a paradise in the East of Hawaii. It serves as a border between Honolulu and Hawaii Kai, giving it a very strategic location where both nature and commercial convenience meet that’s perfect for those who are looking for the relaxing getaway and a beautiful place to raise a family. This is the same reason why real estate developers didn’t have to think twice about developing the area. Today, Kahala is filled with single-family homes, condominiums, commercial establishments, and even resort properties – all of which are perfect for investment. The average sale price for homes in this part of Hawaii range at approximately $895,000. This amount fell a decline of 14.8% from last year’s. That’s a huge savings of $155,000! And with the booming tourism rate in Kahala and its nearby cities, investors do not have to worry about losing their investment to nothing. If you’re looking for the perfect place to raise your family, Kahala would be the right choice. First, single family homes in this area are not as expensive as those in Honolulu. It offers a laidback and peaceful vibe – perfect for your growing kids. It’s also just a few minutes away from Honolulu where most commercial establishments are located. Shopaholics are sure to enjoy hopping from one mall to another while foodies are sure to lose themselves into the wide range of cuisine choices in the area. Of course, the best part about living in Kahala is its closeness to nature – picturesque mountain ranges, pristine beaches, name it and you’ll have it. You’re sure to love waking up to the view of the waves and stretches of shores through your window. If you’re simply looking for a property to invest in, Kahala offers the best location for profitable properties. As mentioned, tourism in the area is at its best. Its proximity to Honolulu alone gives it the strategic location for tourists who want a more laidback and cheaper place to say in. You have your property rented out or you can turn it into a local resort, you live in it as well, or even sell it in the future. 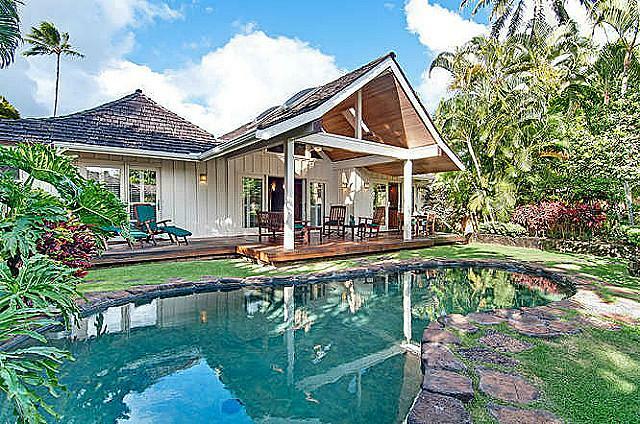 Take advantage of today’s real estate opportunities in Kahala. Worried about the budget? With a range of properties to choose from – from single-family homes, condominiums, and resorts, you’re sure to find the perfect property to invest in that fits your budget. So, invest in Kahala real estate now!